CEPI Cartonboard is the European Association of Cartonboard Manufacturers. It has members in 10 countries and represents Cartonboard Mills that make Solid Bleached Sulphite (SBB or GZ), Solid Unbleached Sulphate (SUB), Folding Boxboard (UC & GC) and White Lined Chipboard (GD, GT & UD). 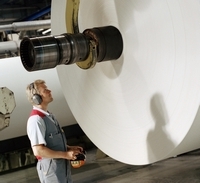 In total CEPI Cartonboard represents Mills whose total capacity is over 95% of the total European capacity for these grades. As well as providing detailed services for its members, CEPI Cartonboard also provides background and information for interested parties, data on the markets in which it operates, and other facts, figures and items of interest. The end uses for CEPI Cartonboard members products is primarily the Carton packaging market but the also cover a wide variety of graphical uses as well.